St Kilda is an inner suburb (neighbourhood) of the metropolitan area of Melbourne, Victoria, Australia, 6 km south-east of Melbourne's Central Business District. 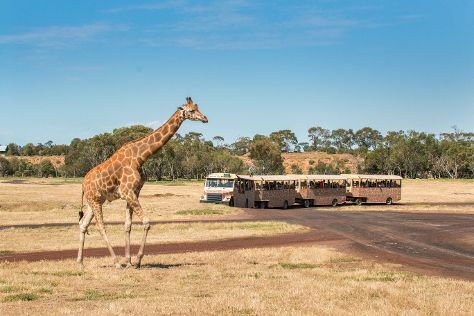 Start off your visit on the 29th (Sat): experience rural life at Collingwood Children's Farm, stroll through Werribee Open Range Zoo, and then stroll through St. Kilda Beach. On the next day, take your sightseeing to a higher altitude at Dandenong Ranges National Park and then kick back and relax at Brighton Beach. To find photos, ratings, where to stay, and tourist information, use the St Kilda travel route planner . George Town, Malaysia to St Kilda is an approximately 16-hour flight. Traveling from George Town to St Kilda, you'll lose 3 hours due to the time zone difference. Traveling from George Town in December, expect nights in St Kilda to be much colder, around 15°C, while days are little chillier, around 28°C. You will have some time to spend on the 31st (Mon) before leaving for home.